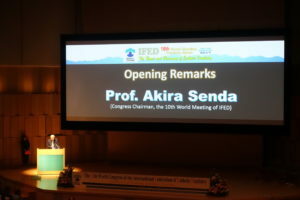 IFED 2017 and JAED was held in Toyama Prefecture, Japan. 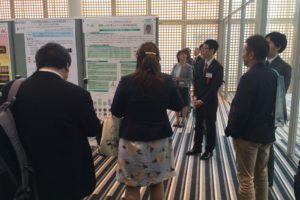 On September 14th, 15th and 16th, JAED (Japan Academy of Esthetic Dentistry) held the 10th IFED World Congress at Toyama International Conference Center, which attracted approximately 1,200 participants from both within and outside of Japan. During 3 full days, the participants enjoyed various lectures and demonstrations given by speakers of international prestige, full of the latest advances related to Esthetic Dentistry. On September 14th, Dr. Javier Tapia Guadix, gave a lecture with the theme: “The Bio-Emulation approach to direct composites”. 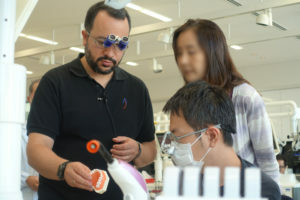 He also delivered a lecture and demonstration entitled: “Emulation of anterior teeth ageing using composite resin: challenges and feasibility” on September 16th. 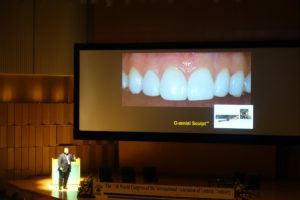 In both of his lectures, he featured on GC’s composite restorative “Essentia”. 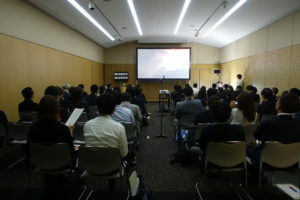 On September 15th, Mr. Katsuya Seki gave a presentation and demonstration with the title: “GC Initial LiSi is the next generation of press system”. 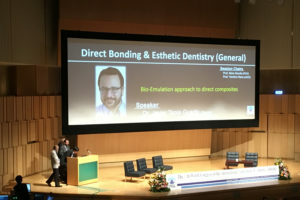 On September 16th, Dr. Wynn Okuda lectured on “High Impact Esthetics : Achieving Predictable Results with Minimal Invasive Dentistry” and featured G-ænial Sculpt and G-Premio BOND. 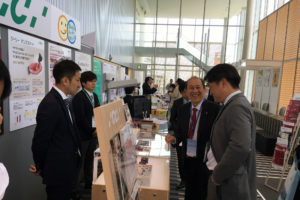 At the 3rd floor of Toyama International Forum, GC booth also attracted a lot of customers in product exhibition. We presented products such as composite restorative “Essentia” and press ceramic “Initial LiSi Press” and so on. Participants also enjoyed “Kamulier” products in our booth. 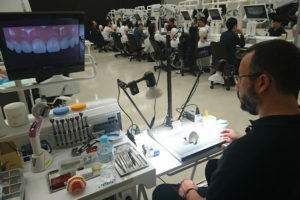 Meanwhile, Dr. Tapia gave GC Hands-on seminar on the theme of “the smart simplification of direct composite restorations” to Japanese Dentists including GC membership society and it was a great success, satisfying each seminar participant.